The title of this blog post isn't true. Not really, anyway. I grew up as an immigrant kid in New York City and wouldn't taste maple syrup until college. But thanks to the power of fiction and my imagination, every spring I escaped by book to the countryside and went sugaring. Maybe that's why this time of year in New England always feels like a homecoming. Here are three of my favorite reads (and re-reads) about maple sugaring. (A journey to sugaring country) in winter parallels (the characters') bleak emotional landscape, and when their car wheels spin uselessly on a snowy hill, we intuit how stuck the family has been feeling. Eventually, the flowing of the sap and the excitement of sugaring brings spring to the land and healing to Marly's family. Sorenson's descriptions of spring, summer, fall, and winter always mirror the gradual changes taking place inside her characters. 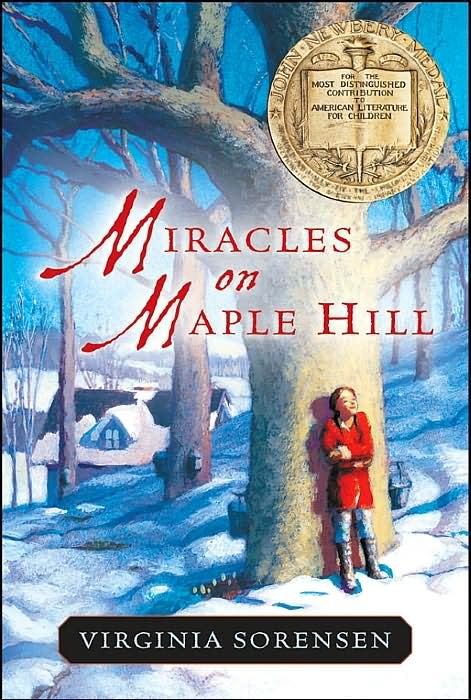 Did you know that one of the characters in Miracles on Maple Hill is an immigrant? He's one of the keys to the transformation of the family. 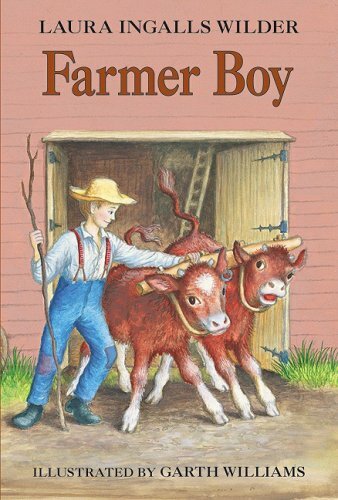 My favorite of the Little House books because there's no denigration of Indians, Farmer Boy also features a cross-cultural relationship that saves Almanzo's life. Do you remember that scene? She found a clean white snow-bank under a pine-tree, and, setting her cup of syrup down in a safe place, began to pat the snow down hard to make the right bed for the waxing of the syrup. The sun, very hot for that late March day, brought out strongly the tarry perfume of the big pine-tree. Near her the sap dripped musically into a bucket, already half full, hung on a maple-tree. A blue-jay rushed suddenly through the upper branches of the wood, his screaming and chattering voice sounding like noisy children at play. Elizabeth Ann took up her cup and poured some of the thick, hot syrup out on the hard snow, making loops and curves as she poured. It stiffened and hardened at once, and she lifted up a great coil of it, threw her head back, and let it drop into her mouth. Concentrated sweetness of summer days was in that mouthful, part of it still hot and aromatic, part of it icy and wet with melting snow. She crunched it all together with her strong, child's teeth into a delicious, big lump and sucked on it dreamily, her eyes on the rim of Hemlock Mountain, high above her there, the snow on it bright golden in the sunlight. I'm about to re-read this classic as I head up to Vermont this weekend to teach a class for the League of Vermont Writers. 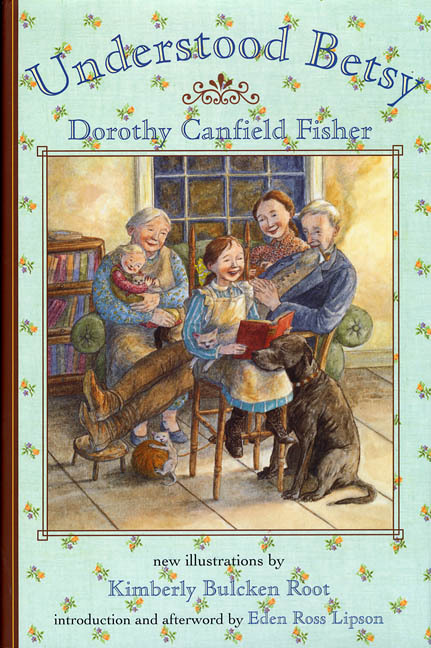 Mrs. Fisher was one of the founders of the League, spoke five languages fluently, and championed refugee French children. Do you have any favorite maple sugaring titles?